Tickets are now on sale, the State Railway of Thailand announced. 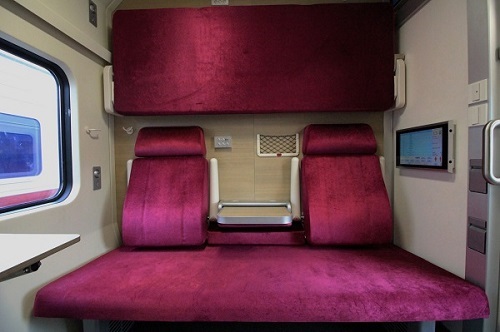 The government-operated railway spent roughly 4 billion baht on the new 115 Chinese-made carriages. The addition of new bogies to the system’s worn and often uncomfortable equipment has been warmly received by the public since first announced in July. Every passenger seat offers a USB charging socket and LCD screen entertainment selections. Instead of standalone diesel-electric locomotives, the new trains will be pulled by powered cars, which are said to be quieter and less harmful to the environment. The toilets, long one of the least pleasant experiences for Thai rail travelers, will operate like those on airplanes and not simply empty onto the tracks. 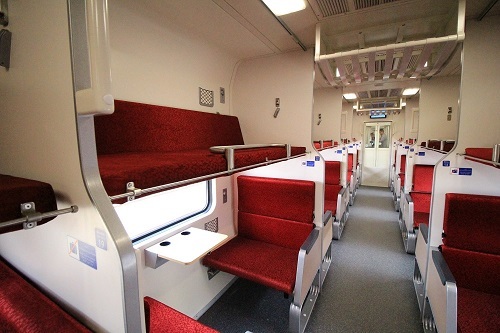 The cars are also equipped with security cameras, officials said, and include accessibility lifts to raise wheelchairs from the platform. Conductors and other train staff will also be outfitted in spiffy new uniforms. ← WIG Calendar 2017 For Sale !